We pride ourselves on our reliability and exceptionally high standard of workmanship whilst focusing on customer satisfaction. Deaselec are a NICEIC Registered Electrical Contractor based in Leicestershire; serving Warwickshire, Buckinghamshire and surrounding areas. Deaselec have built up a wide, varied and loyal customer base over time within the Domestic, Industrial and commercial industries. All of our employees are friendly, trustworthy, well presented, proficient in customer relations and have all passed an enhanced DBS check which enables us to work within schools and other properties where young or vulnerable individuals may reside. Deaselec offers high-quality workmanship using select materials and operates superior communication at an affordable price. Keep up-to-date with all the goings on here at deaselec! 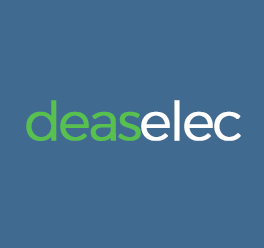 Deaselec are an OLEV approved charge point installer. As a registered installer we are able to claim the government grant of up to £500 on both home charging schemes and also workplace schemes. Copyright © 2019 Deaselec. All rights reserved.